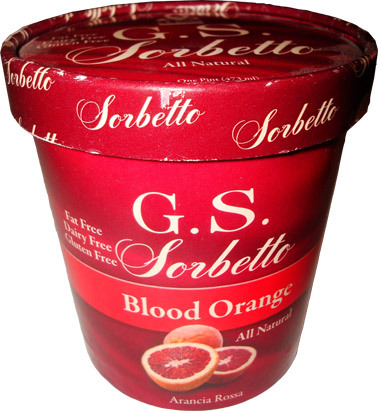 [By Nick] Okay time for a review of another sorbetto from G.S. Gelato! We’ll be looking at their Blood Orange variety. After my revelation worthy experience with the mango pint, this one has a lot to live up to. Now I’ve talked about how I really enjoy blood oranges in my Kefir review but that one didn’t quite live up to my expectations. Hopefully this one with be more authentic and less like orange juice. After waiting the recommended 10 minutes, I was more than eager to remove the lid and dig in. 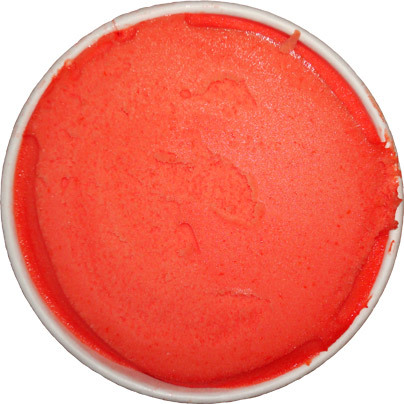 My word, that is the reddest frozen dessert I’ve ever seen. Once again G.S. has done a remarkable job replicating the color of the flesh of the fruit. I know red normally means stop but I’m ready to taste this one already. Taking a scoop out, it is as creamy as the mango sorbetto was. I want to figure out this black magic they use to make it so darn creamy. The taste is once again spot-on with that of a blood orange. Blood oranges are similar in taste to normal oranges but I believe they are more tart and have a slight bitterness to them. 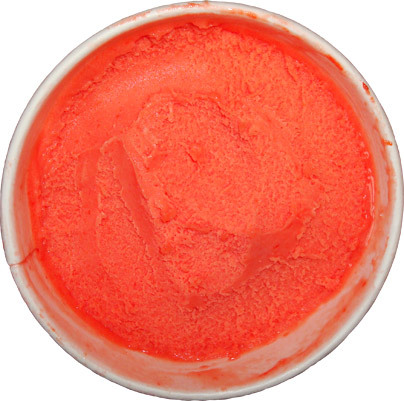 That’s exactly how this sorbetto tastes and all I can really do is applaud G.S. right now. I think this sorbetto would pair nicely with some dark chocolate gelato. That or just have dark or even chocolate chips mixed in with it. I can’t decide if I like this one more than the mango but I wouldn’t complain if offered either of them.